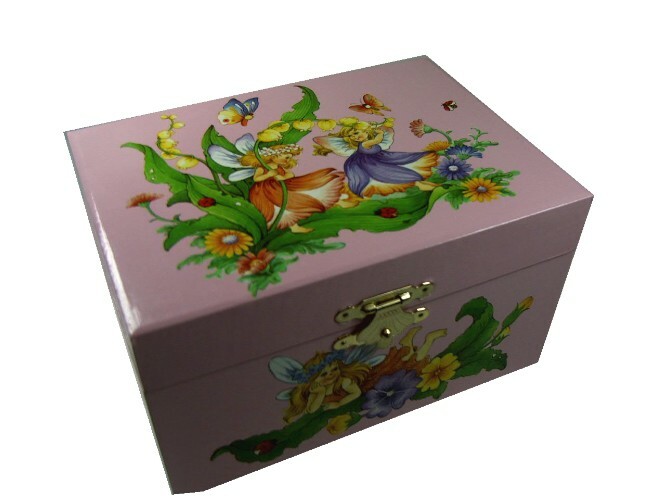 A pretty musical jewellery box with Fairies centred on the music box lid, surrounded by Flowers. 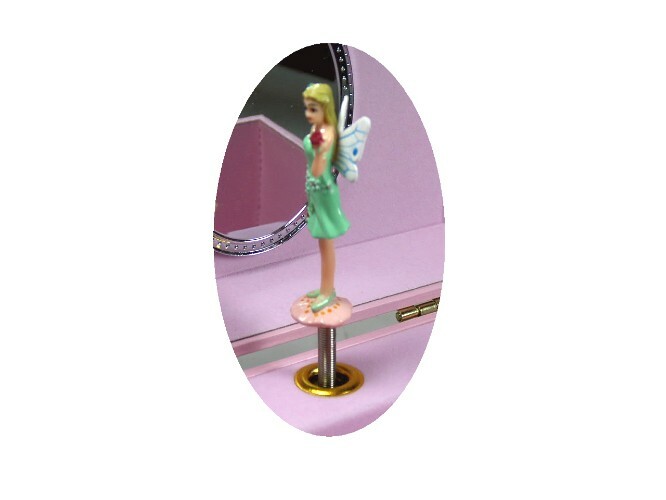 When the lid is lifted the tiny figurine 'pops' up and revolves to the music. 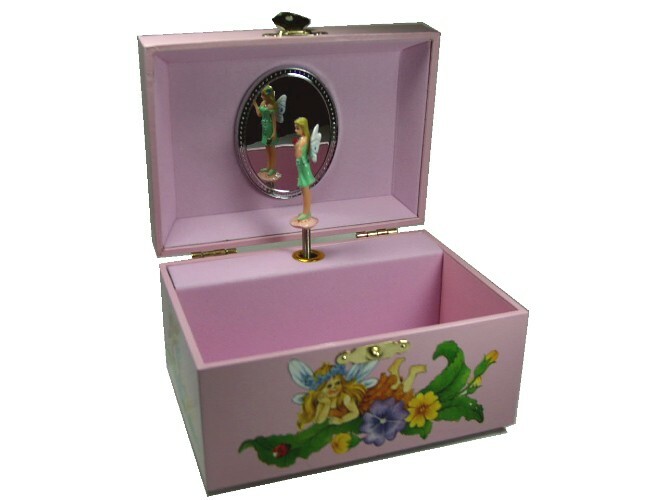 This music box is fitted with the tune "Greensleeves".